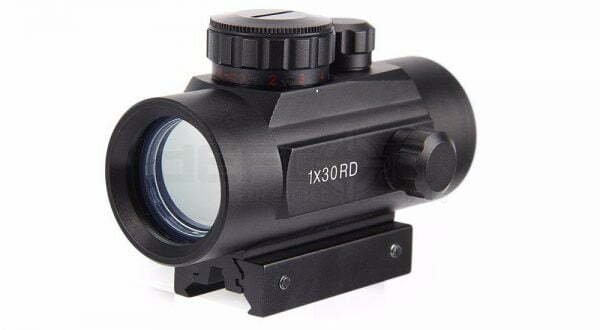 For a larger T1 style sight at a fantastic price, look no further! – A high precision sight scope designed for faster, more accurate target acquisition. – Multiple brightness settings in both red and green. 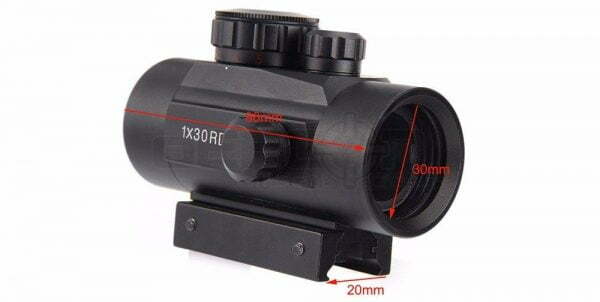 – Sturdy weatherproof aluminum alloy scope enclosure forlong-lasting performance. 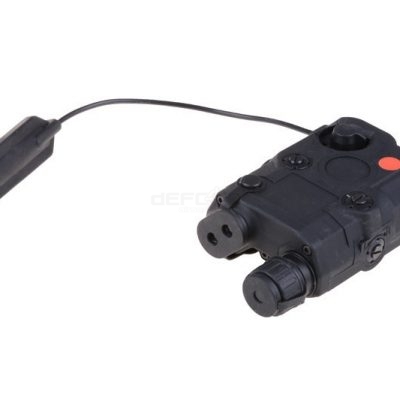 – Flexible eye relief, suitable for just about any shooter. – Comes with dual lens caps, wrench and cleaning cloth. – Powered by 1 x lithium CR2032 battery (not included).